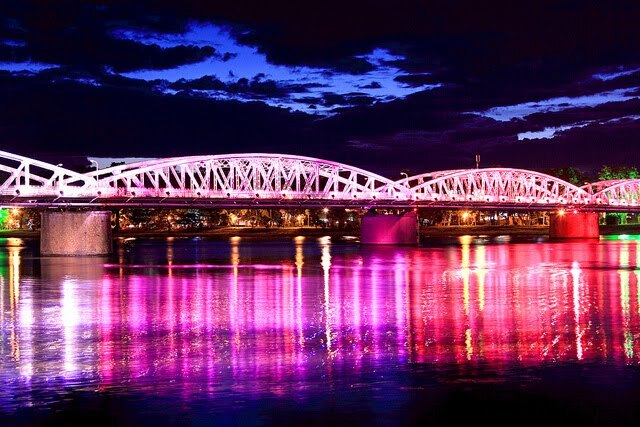 My guidebook describes Hue as the “intellectual, cultural, and spiritual heart of Vietnam.” Fair enough, but all it took to impress me was a bridge that lights up and changes colors at night. 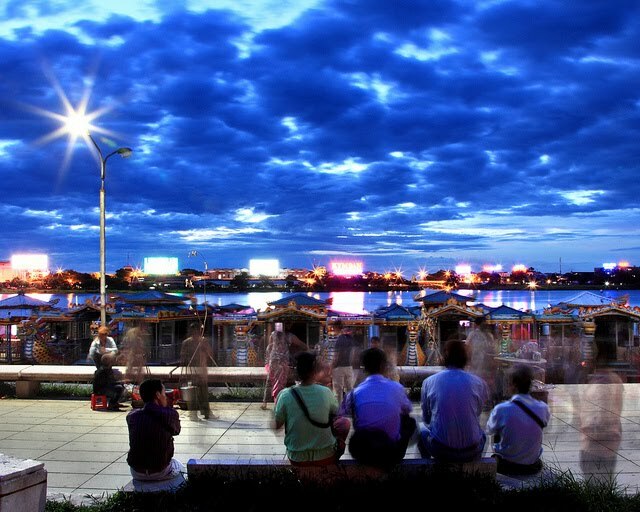 The area along the Song Huong (Perfume River) came alive at dusk, when the humidity level shifted down from brutal to tolerably unpleasant. 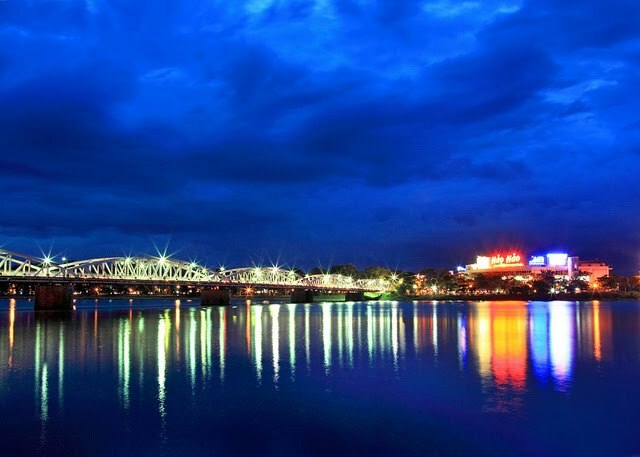 There’s a relentlessness to Vietnam’s heat and humidity this time of year. Together with the aggressive traffic, nonstop honking, and constant sales pitches (“You buy now!”), it can wear me down. If my experience traveling in Southeast Asia four years ago still applies, I’ll have a bad day about once a week. When that happens I can either make a conscious effort to turn things around or I can retreat and lay low for a while. 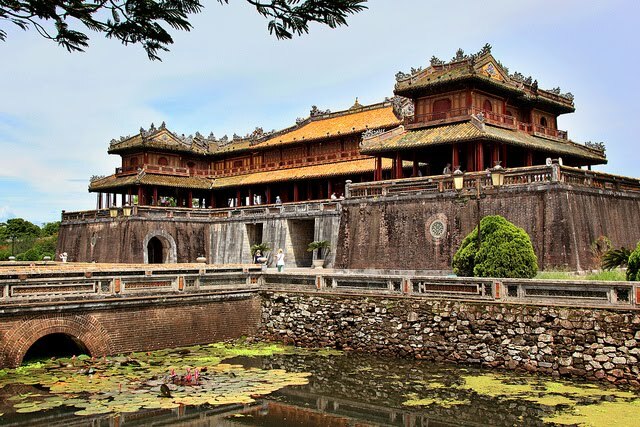 When I felt the negativity creeping in on my second day in Hue, I decided to lay low. That morning I did walk around the Citadel – the remains of a former imperial city built in the 1800s – but after that I just turned up the air conditioning in my hotel room and spent the afternoon reading. 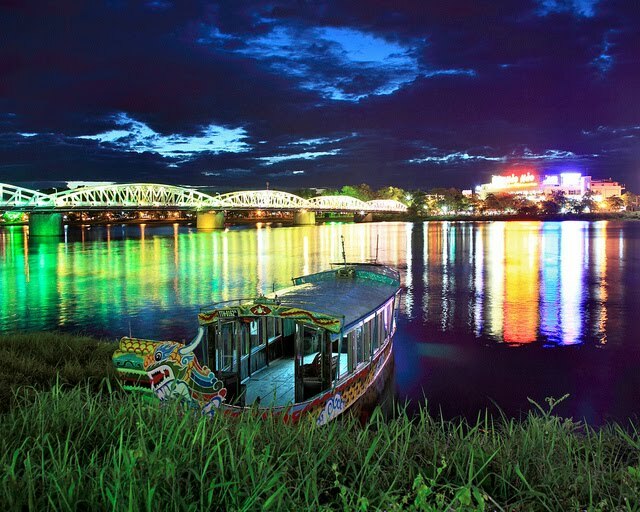 Batteries recharged, I headed back out that evening for more blue hour shots along the Perfume River. A couple of students wanting to practice English introduced themselves and I talked to them while taking photos.